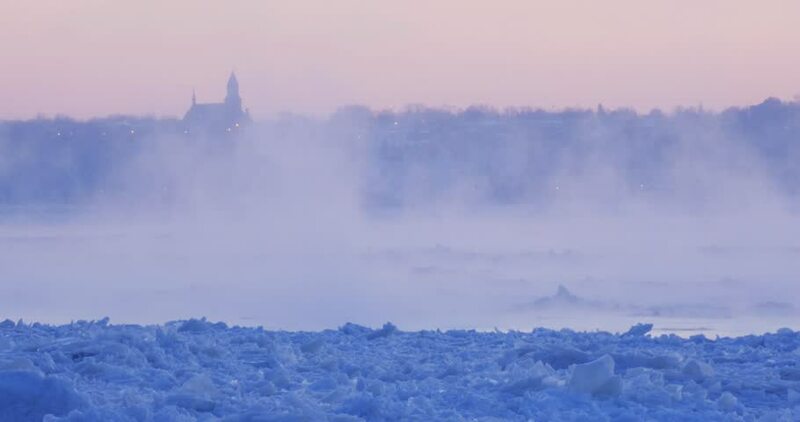 Lots of steam and ice that moves across the St-Laurent river in a very cold winter morning at dawn (or dusk). Church in background. 4k00:13AERIAL: Snow Covered Trees, Winter Forest. Drone Footage Frosted Mountain Pine Forest Landscape. Sunny Winter Morning Flight, Lens Flare. 4k00:20Early morning fog moving through Portland, Oregon neighborhood and trees with bird taking off from treetop.